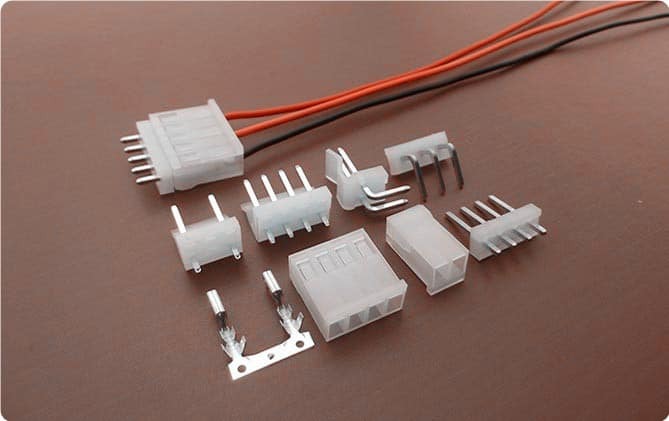 For 3.96mm pitch wire to board connectors, we have Molex and JST replacement connectors, Like Molex KK396 and Molex SPOX 396 series. For Jst we have JST VH connectors. Scondar offers a vast selection of 3.96mm (0.156”) power connectors that can be modified or customize to meet virtually any application requirement. 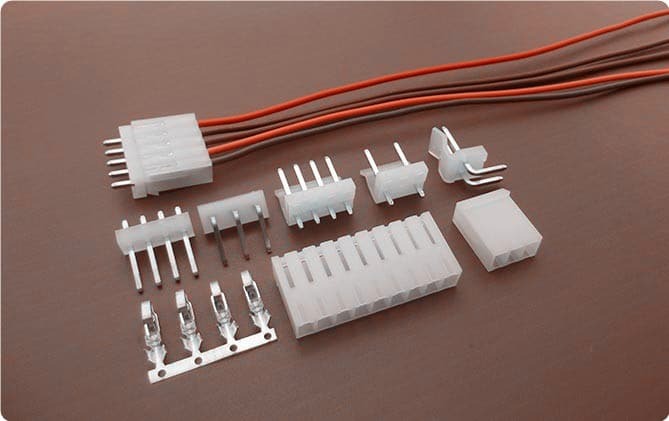 Scondar manufactures top-of-the-line connectors likened to branded connectors such as Molex and JST. These connectors are used for achieving reliable power delivery and power distribution with 5A-7A of current delivered at 250V. KK396 connectors are ideal for low to mid-power wire-to-board and board-to-board applications, delivering up to 5A of current at 250V AC/DC rating for AWG 18-24, with up to 2-15 positions. 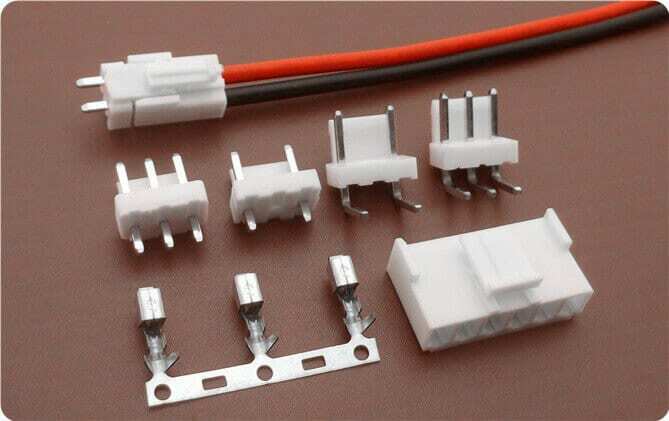 Industries such as automotive, medical and consumer are greatly benefited by this connector. Extravagant features include dual-cantilever terminals offering an enhanced, rectangular-shaped area of contact that usually interferes with the male pin, whereas its anti-fishing feature (as an option) protects the wire during cable assembly. Receptacles are available in right-angle, top-entry or board through-configurations and its housings, which are UL 94V-2, are completely polarized. The KK396 is available in single-row and unshrouded through-hole PCB termination styles, where a friction lock is incorporated for secure mating. Headers are equipped with high- temperature nylon allowing 260ºC wave and reflow solder processing. It also has a kinked PC tail that ensures safe and secure PCB contact during soldering. The JST VH series connectors are designed for wire-to-board cable applications with high-density contact spacing SMT and a friction lock housing enabling secure connections. It has a large current carrying capacity up to 7A at 250V for AWG 18-22, and can be used as a signal, power and output circuit applications in multiple positions from 2-12. JST VH is compact and has a stable contact and mounting, having a secure locking header with top entry height of 16.5 mm and width of 10.5mm. Side entry type is also available with a width of 20.5 mm and height of 10.5. The 3.96mm pitch SPOX is available in 2-12 positions, dissipating 5A for AWG #18 - #24 and has a box-style terminal, polarized design, friction locks, kinked tail options and crimp and IDT housings, meeting a variety of design needs. Scondar’s connector terminals are made of tin-plated, phosphor bronze.